If you use a Mac in a public place, or around particularly snoopy family members or roommates, you probably worry about leaving your computer unattended and unlocked for prying eyes to see. Locking up before leaving your desk becomes a habit. But sometimes you forget, and it is always a bit of a hassle. 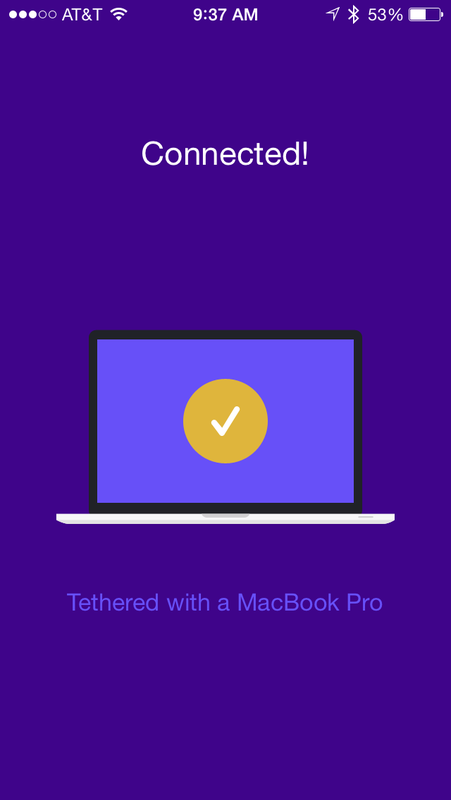 Tether connects your Mac to your iPhone so that it locks up when you walk away and unlocks when you come back. After set-up, you don’t have to do anything else. I was using Knock to unlock my computer because all I had to do was knock on my iPhone’s screen. Then, I used MacID because I could unlock my Mac using Touch ID on my iPhone. With Tether, I don’t have to do anything as long as I’m holding my iPhone when I walk away from or to my computer. It locks the screen when I walk about 10 feet away and unlocks when I’m about three feet away. 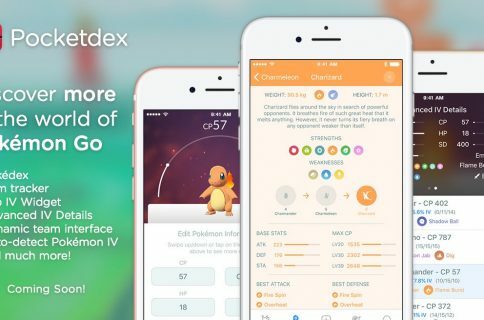 Download the iOS app. 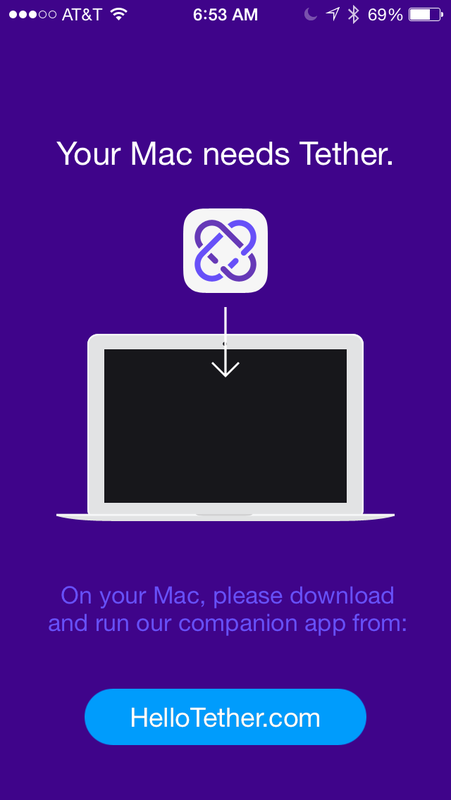 Then grab the Mac companion app here. 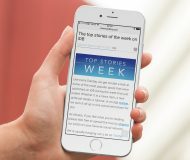 Open Tether on your iPhone. Then, select the companion app in your Mac’s menu bar. It looks a little bit like a Celtic Knot. Select “Setup Tether” from the dropdown menu. 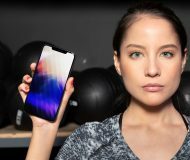 It will search for your iPhone and automatically connect to it. After connecting the two devices, you’ll be asked to enter your Mac’s password. Then, you are all set. Proximity is your only action. Take your phone with you when you walk away and your Mac will lock when you leave the room. When you come back in, it will automatically fire back up. You won’t even need to enter your password again. It’s pretty slick. I did notice a few glitches and bugs that still need to be flushed out when testing the app. For example, sometimes, my Mac didn’t lock when I left the room. My computer would also randomly go to sleep sometimes. The app’s development team is already hard at work squashing the bugs and another App Store update submission is in the works. 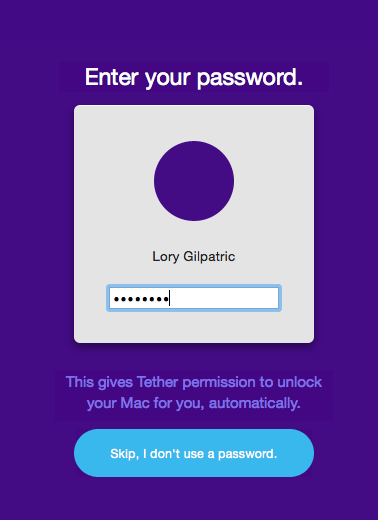 Tether is free for both iOS and Mac, so you aren’t out any money if you give it a try. Plus, if you have an issue, it will probably be fixed in a future update. Download it in the App Store today. What do you think of Tether? Are you going to give it a try?